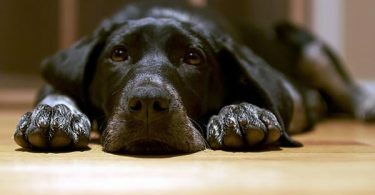 Does your dog make you feel guilty at dinner time? Most dogs will stare hopefully at you while you are eating, waiting for you to share whatever is on your plate. Many of us will give in to their pleading eyes and share a morsel or two. After all, what’s the harm? Well, unfortunately, feeding your dog certain “people” foods can cause a great deal of harm. It’s important to familiarize yourself with those dangerous foods. On the other hand, there are plenty of foods that humans can safely share with their dogs. It’s essential to know which foods are which, so you can keep your best friend with you for many years to come – even if he makes you feel guilty when you don’t share your dinner. As every responsible dog owner should know, not all human food is good for dogs. You probably already know that chocolate can be deadly to your pooch, but you might not know about some of the many other foods that we can eat but canines should avoid. To learn which foods you should never feed your dog, take a few minutes to watch this YouTube video. The ASPCA has compiled a helpful list of foods that you should never feed your dog. Please note that olives are NOT on this list! However, some of these foods might be added to a stuffed olive or could appear on a list of ingredients included in canned or other processed olives. Don’t offer your dog any olives that may contain traces of alcohol, avocado, citrus, chives, dairy, garlic, grapes, nuts (especially macadamia nuts), or onions. There are many different olive products on the market, and quite a few of them include ingredients that are incredibly dangerous for your dog. Most canned olives have a high sodium content, which can harm your dog’s kidneys or cause salt poisoning. Some olives are swimming in alcohol, which can be deadly for dogs. Olives flavored with onion or garlic should never be given to dogs as these spices can cause severe anemia by damaging the animal’s red blood cells. Also avoid olives that have been stuffed with currants, bleu cheese or any of the other items listed in the paragraph above. If you aren’t sure of all the ingredients in an olive, play it safe and don’t give it to your dog. What Should I Do if My Dog Eats Olives? If your dog eats a single olive that accidentally rolled onto the floor, don’t panic! If it’s a plain, pitted olive not stuffed with anything, it won’t hurt your dog. However, the American Kennel Club recommends that you contact your veterinarian if your dog somehow manages to eat a large number of olives, as this could pose a potential risk to your pet, especially if the olives contained pits or were processed with other ingredients that are dangerous to dogs. Dogs who eat large amounts of any type of vegetable or fruit are likely to develop an upset tummy, and will possibly experience diarrhea and vomiting as well. This should stop in a couple of days, but if it doesn’t, it should warrant a trip to see the vet. What Should I Do if My Dog Eats an Olive Pit? Do your best to keep olive pits away from your pet. Although an olive pit is not poisonous in any way, it could be a choking hazard, especially for a small dog. A pit can also cause damage to your dog’s teeth if he tries to chew it. However, if your dog swallows a pit and he is not choking or having any problems breathing, then there is no need to worry. The pit should pass through his digestive tract harmlessly. A plain olive is not bad for dogs. However, most of us don’t buy plain olives. The majority of the olives that we humans bring into our homes have been highly processed. In order to preserve the olive fruit (yes, olives are considered to be a fruit) we typically pickle or can them with a wide variety of spices and a great deal of salt. The olives themselves are not bad for dogs, but the salt, spices, and other ingredients they are processed with can cause health problems for your pet. So, Can Dogs Eat Olives? The short answer is, yes, dogs can safely eat olives. The long answer is a little more involved. According to FurryTips.com, olives can be a safe and healthy treat for dogs. However, they shouldn’t eat just any olives, and they should only eat them in moderation. If you want to share olives with your dog, be sure to offer him unprocessed, preferably organic, olives with the pit removed. Be careful about feeding your dog canned olives, as the sodium content in canned foods can be hard on his kidneys, and can lead to high blood pressure and dehydration. Black olives are olives that have completely ripened, and they are perfectly fine for your dog to eat. Canned black olives usually contain less salt than canned green olives, making them a slightly healthier choice. However, if you decide to feed your dog olives from a can, you should always rinse them thoroughly to remove as much of the salt as possible. Better yet, look for salt-free varieties or fresh unprocessed olives. Green olives are olives that are harvested before they are fully ripe. They taste different than black olives, but their nutritional value is basically identical. Both types of olives are safe for dogs to eat in moderation. Fresh olives of either color are a better choice than canned because of the sodium present in most canned olives. If your dog has a preference for black or green, give him the kind he likes best as they are both safe for him to eat. Can My Dog Eat Olives Right Off the Olive Tree? Absolutely! In fact, fresh olives are the healthiest option for your dog. Just be sure to remove the pit before you offer it to Fido. Fresh, unprocessed olives won’t have any of that unhealthy sodium you’ll find in canned olives, but they will have a more bitter flavor than processed olives. You may not like the taste, but if your dog likes them, they are perfectly fine to offer as an occasional treat. How Many Olives Are Safe for My Dog to Eat? According to the Lovable Paws & Claws Dog Blog, you shouldn’t feed your dog more than one or two olives per week. Although olives contain lots of healthy vitamins and minerals, they are also high in fat. Too much fat in your dog’s diet can lead to a life-threatening condition called pancreatitis (inflammation of the pancreas). High-fat foods, therefore, should be fed sparingly. Are Olives Healthy for Dogs to Eat? Plain unprocessed olives are an incredibly healthy treat for dogs. Olives are a heart-healthy snack for both humans and dogs. They can help to reduce the risk of diabetes and lower your dog’s cholesterol levels. Olives can help to strengthen your dog’s bones and may help fight certain cancers. 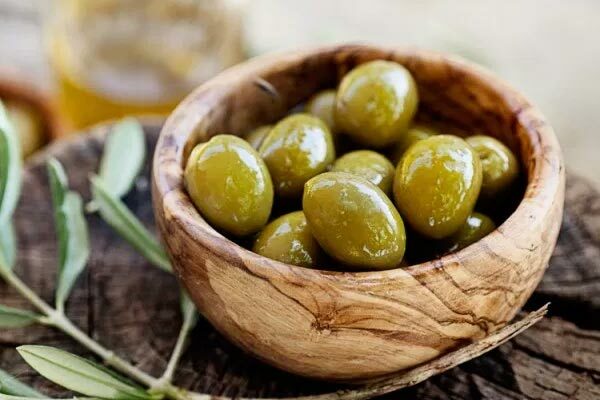 They are an excellent source of protein and are rich in important minerals like calcium, and vitamins a, e, and k. Olives can help to lower blood pressure and improve your dog’s vision. Olives also have excellent anti-inflammatory properties, which can help with a whole host of ailments. You can’t get much healthier than that. How Do Olives Benefit Dogs? Weight Loss – If your dog is getting a little too chubby, olives can help him lose weight. The healthy unsaturated fats in olives help to break down fat cells, which in turn assists in shedding those extra pounds. Improved Circulation – Olives can help to increase blood and oxygen flow throughout your dog’s body, which will help to keep him active and happy for years. Healthy Coat – Your dog’s coat will be glossy and beautiful with the addition of olives in his diet. Olives can also help to ease problems with itchy or sensitive skin and can reduce shedding. Improved Brain Function – If you want to teach an old dog some new tricks, feed him some olives! They will help him to focus on what you are teaching him, as well as help him to remember what you’ve taught him. What About Olive Oil – Is it Also Healthy for Dogs? According to the Ultimate Home Life website, olive oil offers many of the same health benefits to your dog as plain olives. However, just like olives, olive oil is high in fat, and should only be given to your dog in moderate amounts. Your dog may find olive oil more palatable than plain olives, so if you want him to receive the benefits of olives it may be easier to add a spoonful to his kibble once in a while. Olive oil will improve brain function, circulation, hair, and skin. It will keep both you and your dog young and healthy by lowering the risk of diabetes, cardiovascular diseases, and many types of cancer. Olive oil also helps strengthen the immune system to keep your dog healthy all year round. What is the Best Way to Feed Olives to Dogs? Whenever you introduce a new food to your dog, it’s best to start out slowly. Begin by offering him a tiny piece, just to see if he likes it. Olives are one of those foods that people either love or hate, and it’s the same with dogs. If he hates it, he’ll spit it out and probably won’t even try it again. If he likes it, observe him carefully to make sure there is no negative reaction. If not, you can gradually work up to giving him an entire olive. Always double check that the pit has been removed before offering this treat. Why Does My Dog Roll on Olives? Dogs have some odd behaviors that perplex humans, and this is one of the stranger things they sometimes do. Dogs will instinctively roll around in smelly things, and an olive’s pungent odor may make it attractive to dogs. We may never know for sure why dogs do this, but there are a few theories. 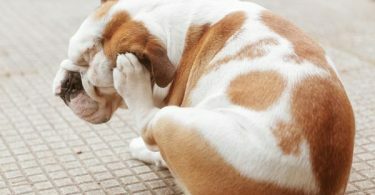 Even if your dog has never hunted in its life, this behavior may have been inherited from its hunting ancestors who tried to cover their scent in order to more easily sneak up on their prey. Another possibility is that dogs use odors to tell stories. Really. Dogs are pack animals, and it’s sometimes important to convey a message to the rest of the pack. Since they can’t verbalize, they resort to rubbing themselves with an odor to let the pack know about things they’ve found in their environment which might be interesting or dangerous. So, next time you want to treat your dog, consider giving him a nice fresh black or green olive. The many benefits of olives make them one of the healthiest snacks you could possibly find for your pooch – and they are good for you, too! Just remember to check carefully for any hidden ingredients or additives that may not be so healthy for your best friend.